Asthma is a disease of the airways, causing the muscles in them to tighten and the lining of the airways to become swollen and inflamed, producing a sticky mucous. This makes breathing difficult and can cause coughing, wheezing and shortness of breath. With asthma being one of the most common reasons children visit the doctor or are admitted to hospital, childhood asthma is an issue for many young families. As many as one in ten children are diagnosed with asthma, and the symptoms and severity of the condition can vary considerably. Is it bad to give my child too much pain relief medication? While it’s not fully understood why some children develop asthma, many sufferers of the condition also have a family history of asthma, as well as eczema and hay fever. Although these symptoms are considered typical, it’s important to remember that asthma is different for everyone. Children can have different triggers for their asthma and can experience their symptoms differently. Even their medication needs can differ, and not all children will go on to have a life-long problem with asthma. With childhood asthma so prevalent – and the symptoms often overlapping with those of a common cold – it’s worth knowing the signs of childhood asthma so you can pay a visit to the doctor to check things out further. Your doctor will ask you about any family history of asthma and assess the severity of your child’s symptoms. It would help your recall if you kept a written log of the symptoms you’ve noticed and how often they’ve appeared, as well as if you noticed any triggers. A whistling sound (called ‘wheezing’) when your child breathes in and out could be a sign of asthma. Bouts of coughing, especially at night could signal a problem. The coughing may also present constantly, and can be triggered by laughing or crying. 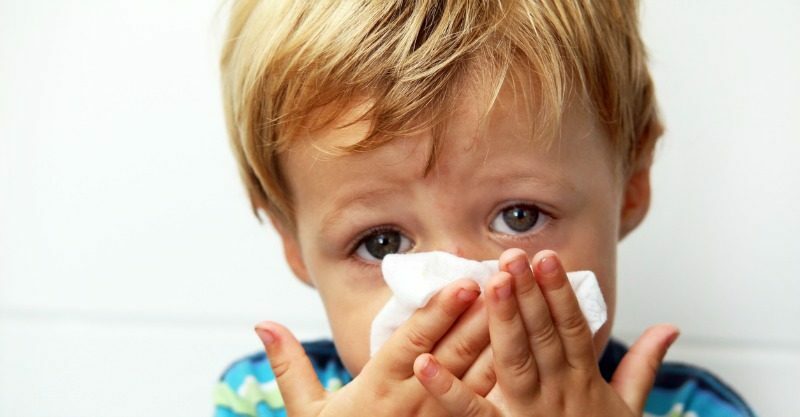 Your child might have periods of very rapid breathing, or alternatively you might notice very laboured breathing, both of which warrant a trip to the doctor for further investigation. If your child’s coughing and breathing issues become more noticeable over night, this could be a sign that asthma is the culprit rather than a virus. Many cases of childhood asthma are triggered by allergens from animals and pollen. Exercise and vigorous activity can be another trigger. If your child presents with worse symptoms after these triggers, let your GP know. If your child complains of feeling tired, sore or doesn’t seem to have much energy for play, this is also worth reporting to your GP, especially if other signs of asthma are present. Some children with asthma complain of their chest hurting, as asthma can cause this area to feel tight. Young children may also describe this as having a ‘sore tummy’, so if your child brings this up, quiz them a little about where the pain is located. If you suspect your child is having an asthma attack or experiencing trouble with breathing, call an ambulance on 000 (triple zero) immediately.